Delve deep into the prophecies of Haggai, Zechariah and Malachi to a restored people of God. 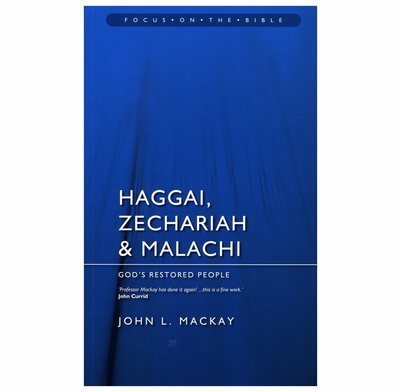 The ministries of Haggai, Zecharaiah and Malachi are a record of how God deals with people he has restored as they try to translate their basic loyalty to him into practical action. They made mistakes in their understanding of how God wanted them to live, and were forgetful of their need to give priority to God in their living. Whilst they did not stray into idolatry like their ancestors they did have to learn to live consistent to their profession of faith - the same challenges that face us today.